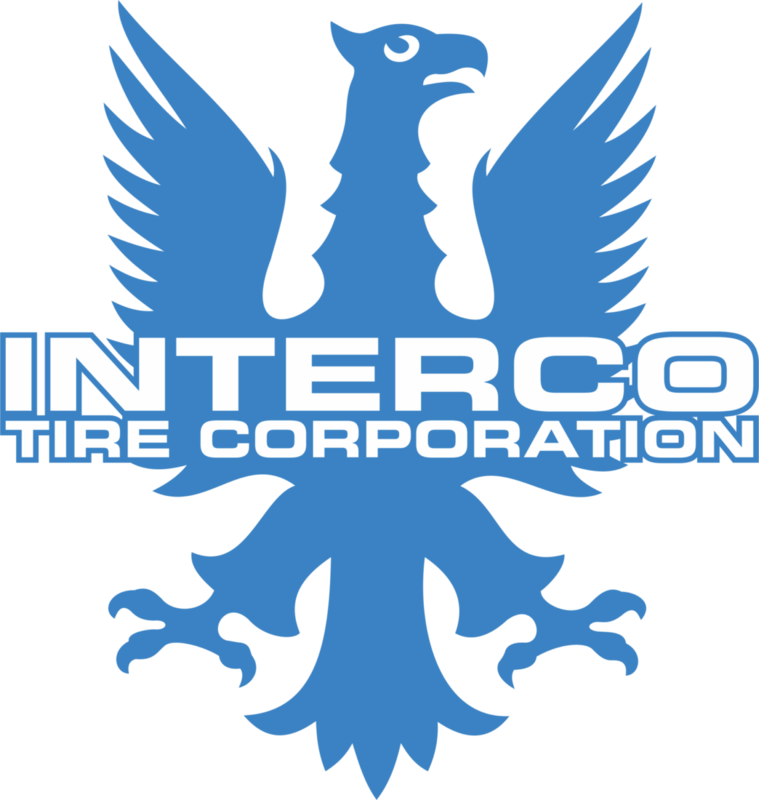 Looking for a Quiet Tire Carrier? Big tires plus tail gate mounting equals rattles, bangs, and bent hinges. Well, not anymore thanks to TeraFlex and the HD Hinged Tire Carrier. 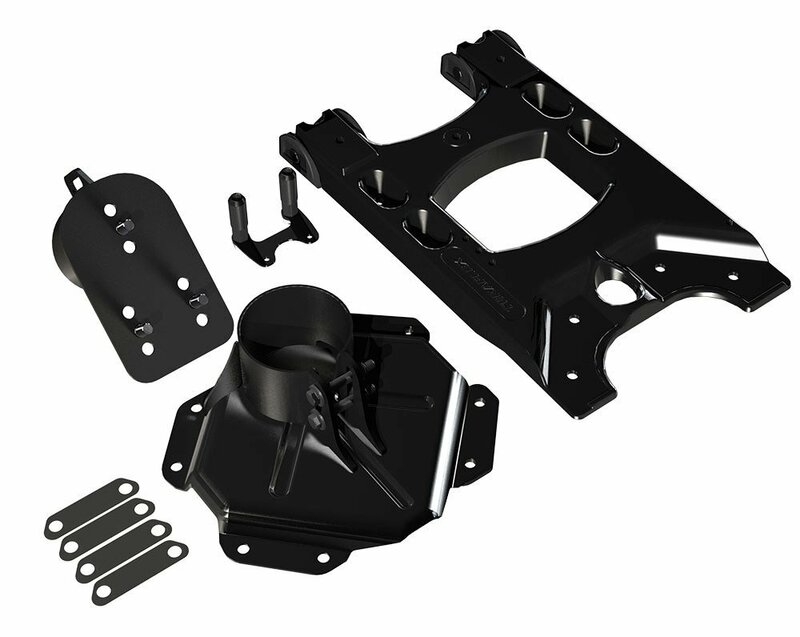 Better known for their suspension and replacement axle housings TeraFlex makes a bunch of other nifty accessories. 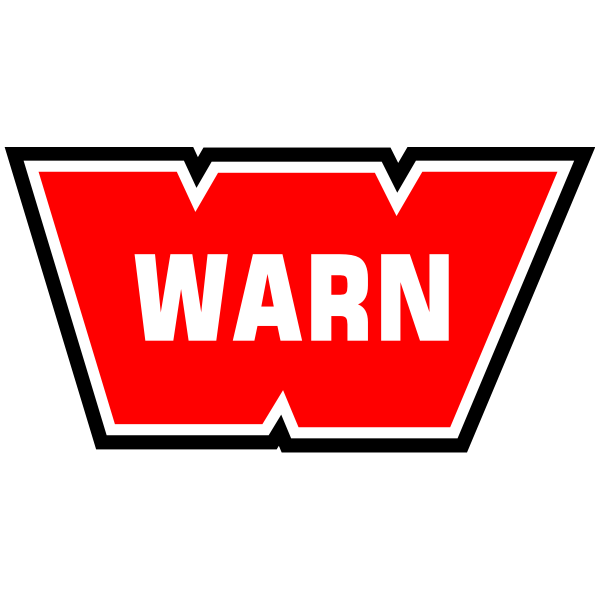 Bumpers, brake kits, ball joints, tailgate table, and more. 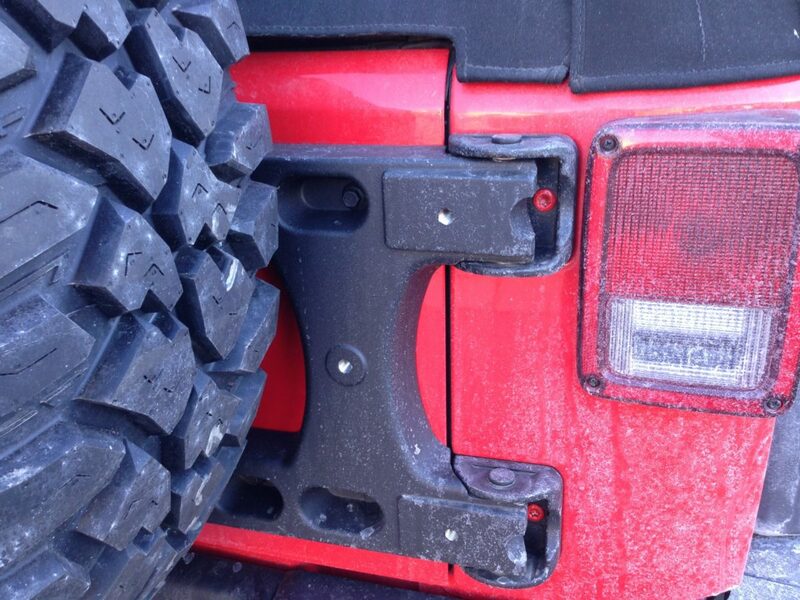 We are specifically going to take a look at the tire carrier as it was recently installed on our Project Overland JK. 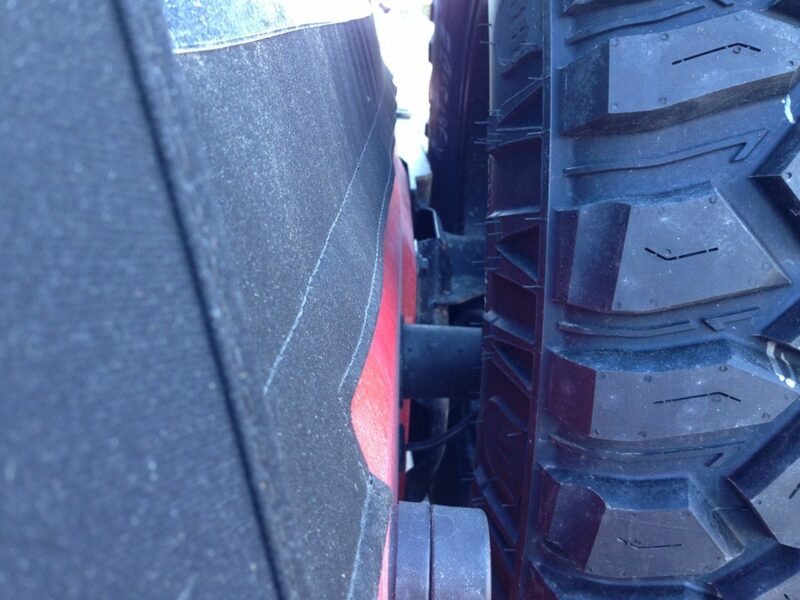 The stock tire carrier on a Jeep Wrangler and many other vehicles uses the tail gate hinges to both open the tailgate and support the weight of the tire. It works well enough for lighter wheel and tire combinations and can provide decent service life. When you start adding larger and heavier combinations that service life drops quickly. With enough weight the tailgate starts to rattle almost immediately and will sag when you open it. Once that happens you start beating up the latching mechanism and well it just gets worse from there. There are several solutions on the market that work to remedy this situation. There is the swing away bumper mounted tire carrier. A stand alone mechanism that attaches to an aftermarket rear bumper and requires you to swing the tire carrier away from the rear and then open the tailgate door. Simple and effective but often heavy and expensive, they are also brand dependent so you need to buy the bumper that fits the carrier. Great if you like the combo but not so great if you don’t want to replace your bumper. 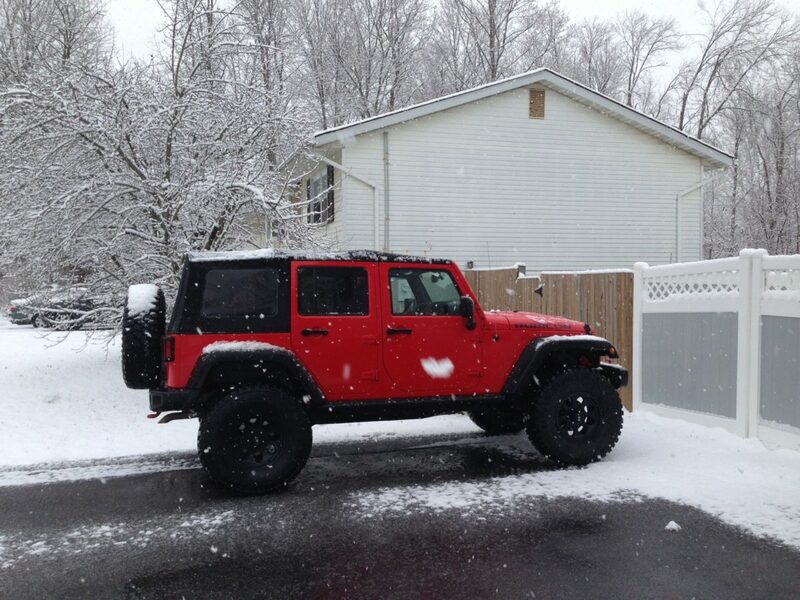 (As in the case of our Big Red that has the factory steel bumpers.) There are some swing away tire carriers designed to fit stock bumpers with some brackets, a bit of cutting, and in some cases some welding. 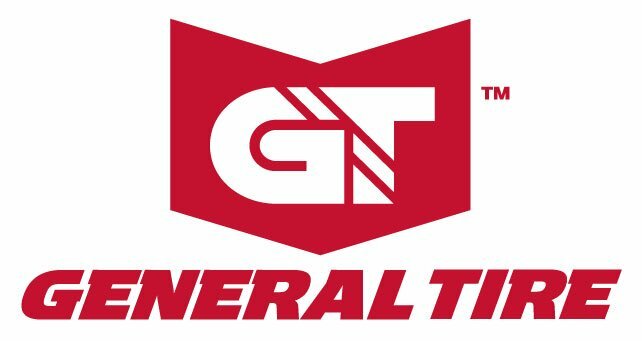 These types of carriers can generally hold the largest tires and also have designs that allow for the carrying of fuel, water, and other items between the tire and tail gate or attached to the armature. Similar in style to the swing away are tire carriers that are mounted to the bumper but attach to the tailgate via a heim joint or other mechanism. It removes the step of having to move the tire out of the way before opening the tailgate. these mechanisms can become very complex, can be difficult to line up to operate smoothly, and because of all of the extra bits have a lot of items that can rattle around. We have one installed on our Silver JK and without giving too much away, as we haven’t written the review yet, it will be replaced by something that works better. We already mentioned swing away tire carriers above but those are bumper mounted. Several companies like Gen Right make a swing away carrier that attached to the body of the vehicle. This requires drilling on the handle side of the vehicle into your pristine paint and bodywork but offers an extreme level of carrying capacity, smooth actuation, and quiet ride. A great way to unload the tailgate but does require that leap to cutting your vehicle body. Not exactly a tire carrier for everyone. Last but not least is the tire carrier that gets mounted on the tailgate but replaces the factory hinges and swing mechanism with more robust materials and mounting. You end up mounting the tailgate to the carrier and using the carrier hinges to operate the tailgate. The stock latch holds it closed but the tailgate is a supported item and carried none of the tire weight. The upper and lower support legs are tied together and the hinges are industrial quality items. Big Red was just fitted with a tire carrier that falls into the last category. The TeraFlex HD Hinged Tire Carrier is a mouthful of a name for what really amounts to a very simple and elegant solution to carrying that spare tire around. We opted for the adjustable center section that allows us to carry a 37 inch tire. It has multiple height holes for the wheel studs allowing the wheels to have plenty of clearance with your bumper. The kit even comes with a relocation bracket for the third brake light. It uses the top piece of your taillight, after you cut and trim it, and mounts to the top two lugs. They are threaded to accept bolts to hold it together. It looks nice and integrated and is stone simple to install. 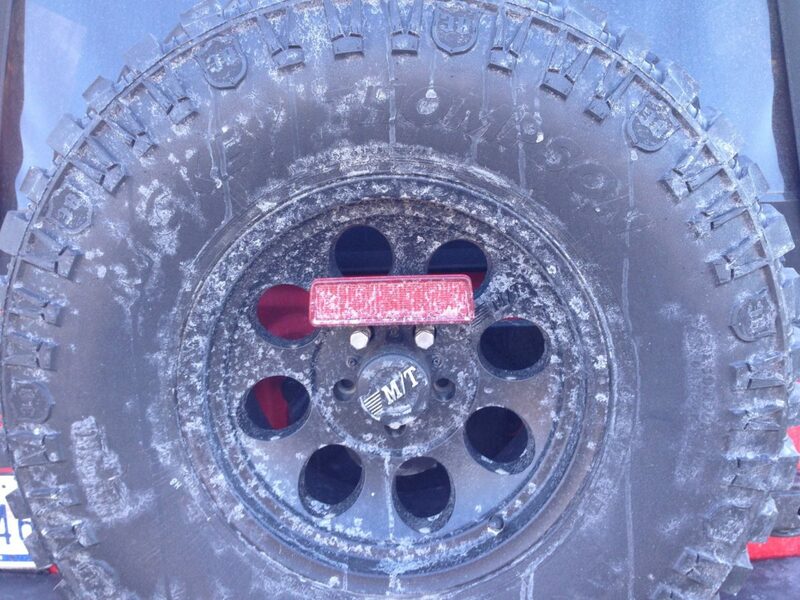 TeraFlex tail light relocation bracket on a salty snowy wheel. I wish there was more to write about it. Usually I have a complaint, a proviso, some design item that we feel could be improved upon. With this it simply works and works well. We were going to shoot a video to show noise, there wasn’t any to capture. It’s so quiet and stable we are going to purchase another one for the 2 door. That is the best testimonial I can give any item. Sike! There is always something. We will still buy another one, that part is true, but there are a couple items we would like to see improved. The center mounting tube with the tire can be finicky to position. You need three arms to make it all work or better yet a second set of hands. In order to set the distance from the bracket face to the hinges, to fit the tire close to the bracket, you need to mount the tire, measure, unmount the tire, adjust and repeat. The collar leaves room to rotate the sleeve so if you slide it in and aren’t lined up level you could get it all together and have a tail light pointed diagonally. These are minor quibbles and once it is locked into place it hasn’t moved at all. Besides, it’s a Jeep so it’s never easy and that’s the way we like it! Don’t forget to check out our Featured Partners page and visit our sponsors! 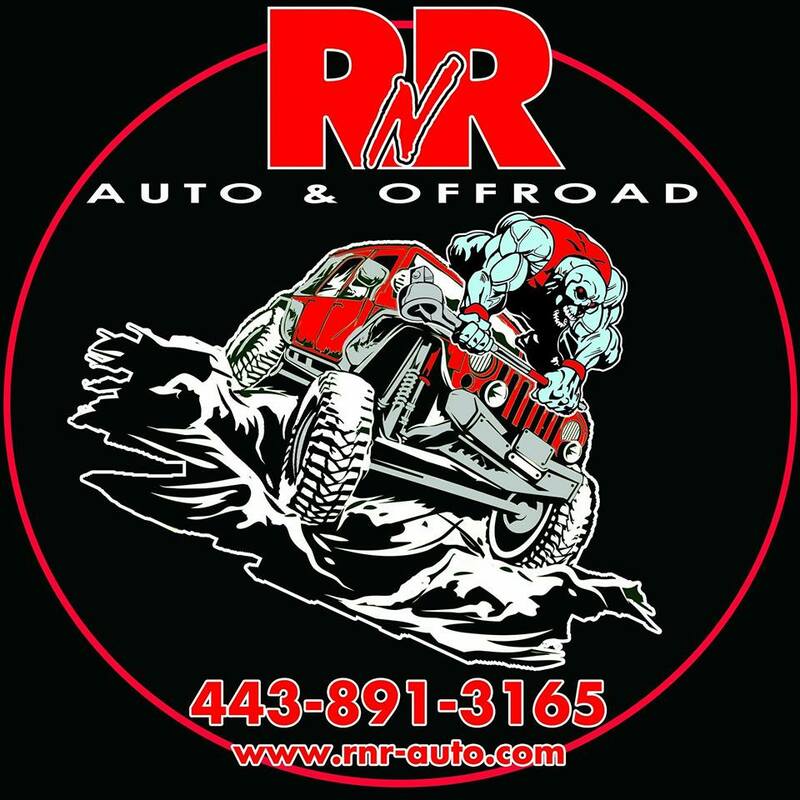 We also want to give a special shout out to World Tour Off Road Equipment in Annapolis MD. Without them this would still be in my basement waiting for a warm sunny day. ← 6 Speed in a Renegade! is this the same tail light relocation bracket that you are running? I have been looking for this bracket for a while. It is similar. The bracket on this carrier comes with it. The one I had was more flat and was only for the light, not a plate.